CAP thrilled to have been voted ‘Best Valuations Provider of the Year’. We are pleased to announce that CAP has been officially announced as Britain's best valuations provider in the 2015 Car Dealer Magazine Power Awards. Has the Golf estate suddenly upped its game? 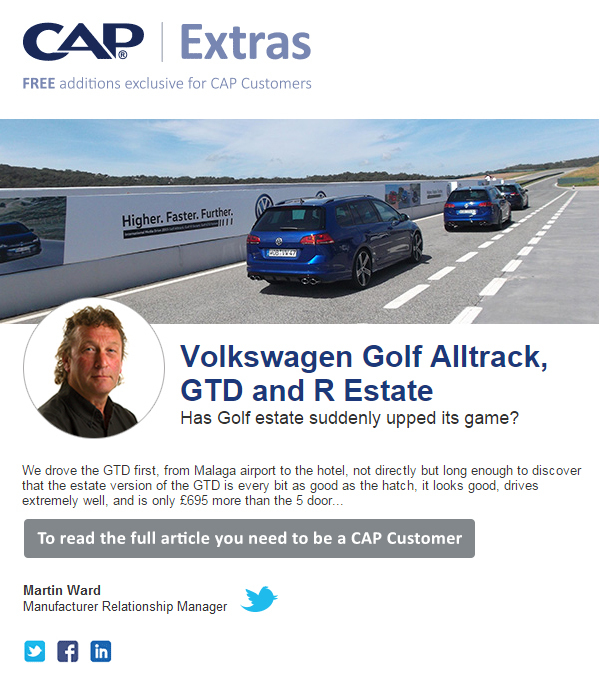 CAP Extras: Volumes increasing, what does this mean for used car prices?